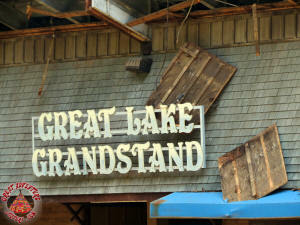 Ever since the start of the 2015 season the rumor mill has been working overtime with wild speculation of what was next on the park's radar screen. 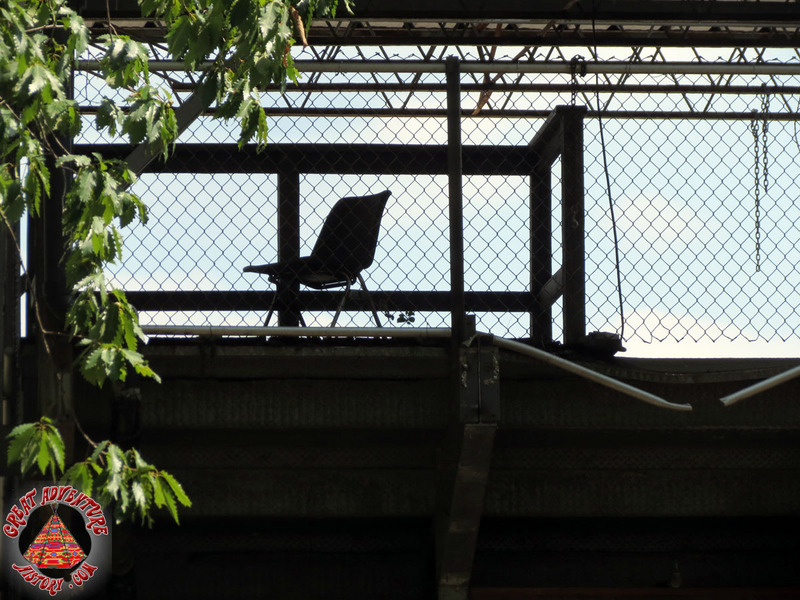 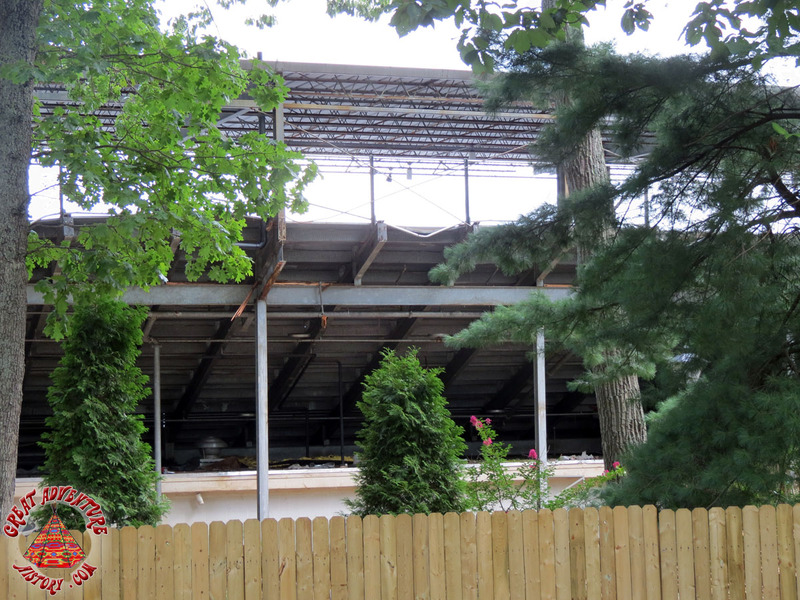 The first hint that something was up was when the park reopened this year with the Fort Independence aqua stadium shuttered. 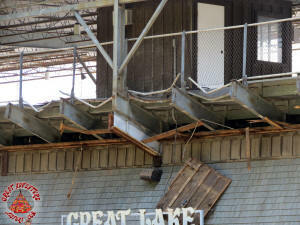 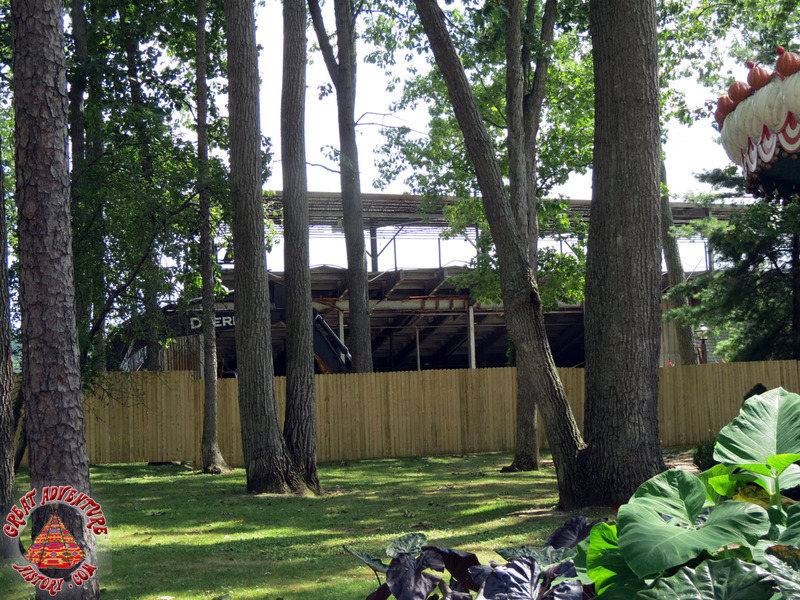 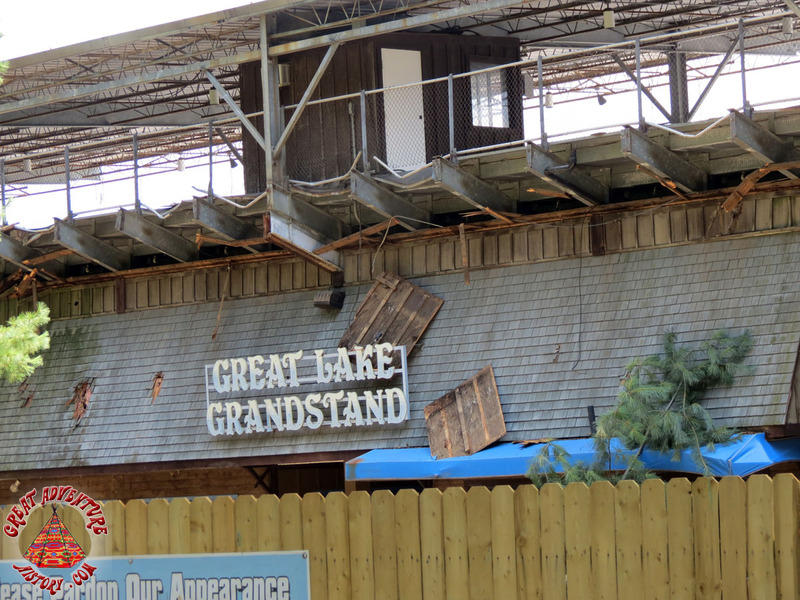 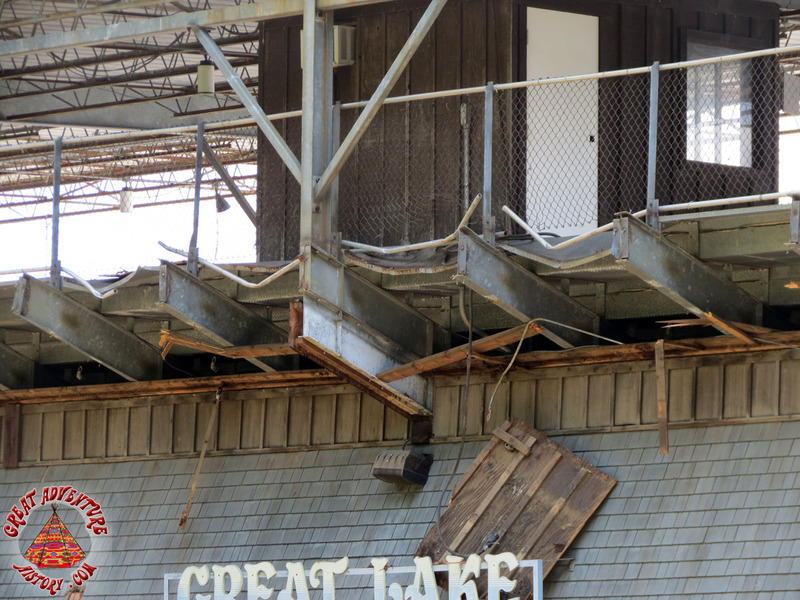 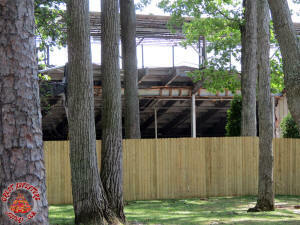 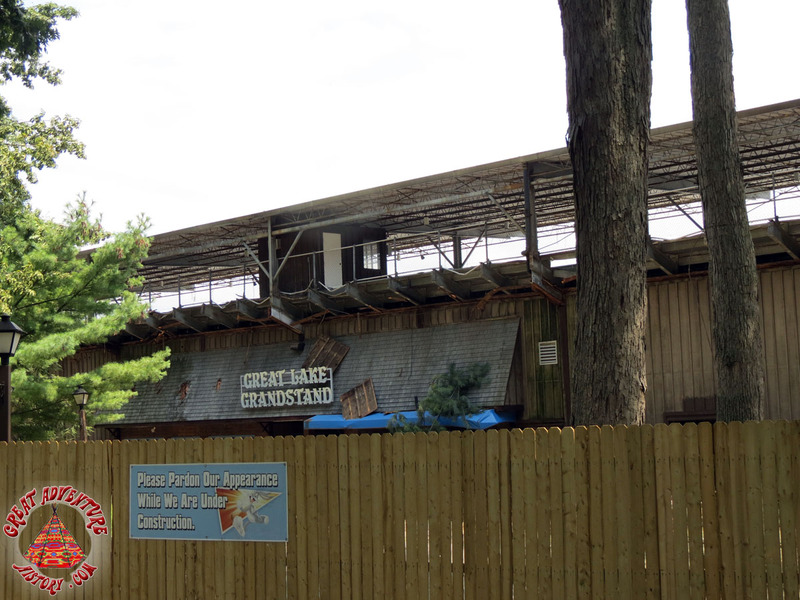 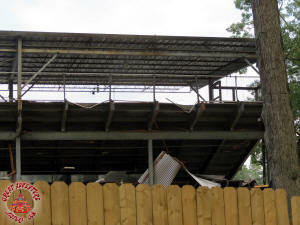 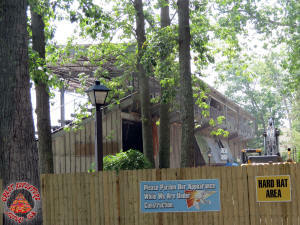 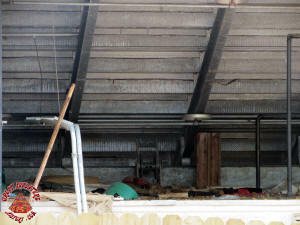 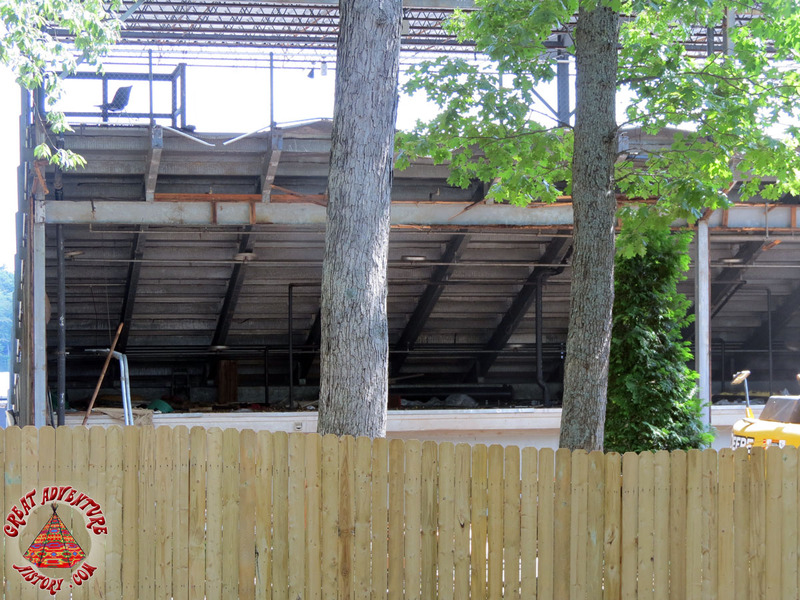 Soon afterwards, the closure and demolition rumors spread next door to the Festival Stage and the Great Lake Grandstands. 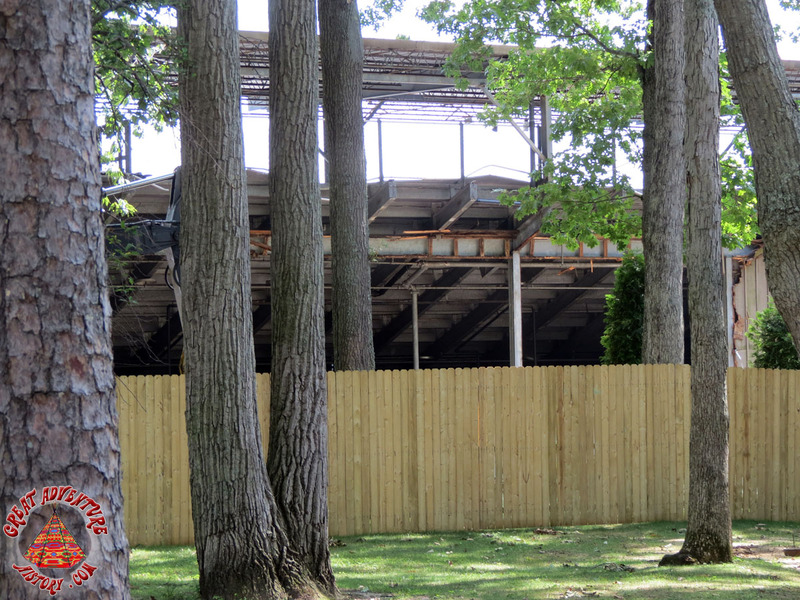 Several weeks ago construction fencing surrounded these venues was erected and the writing was on the walls - the area was closed off for future construction. 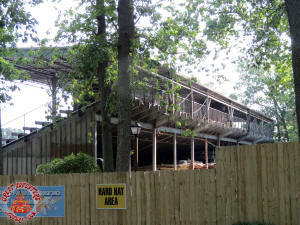 So what is up for this soon to be developed plot of the park? 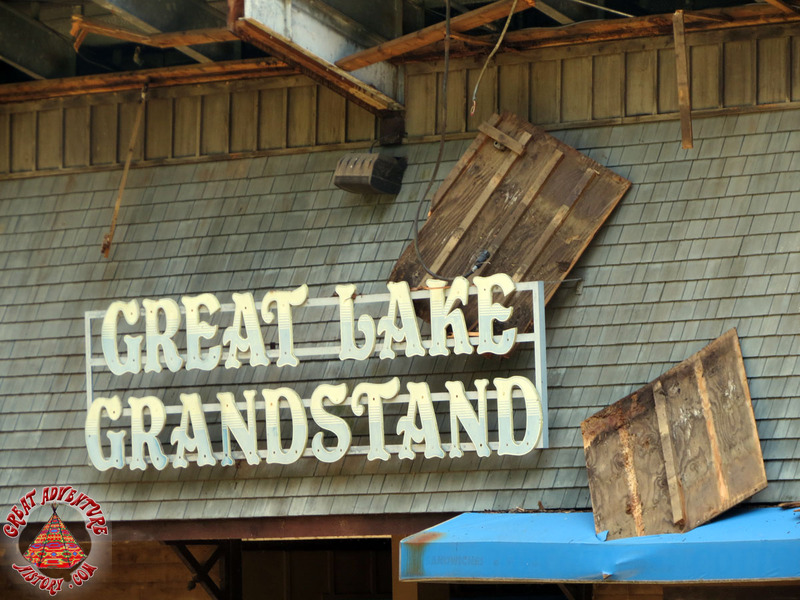 Tune in September 3rd for the exciting news! 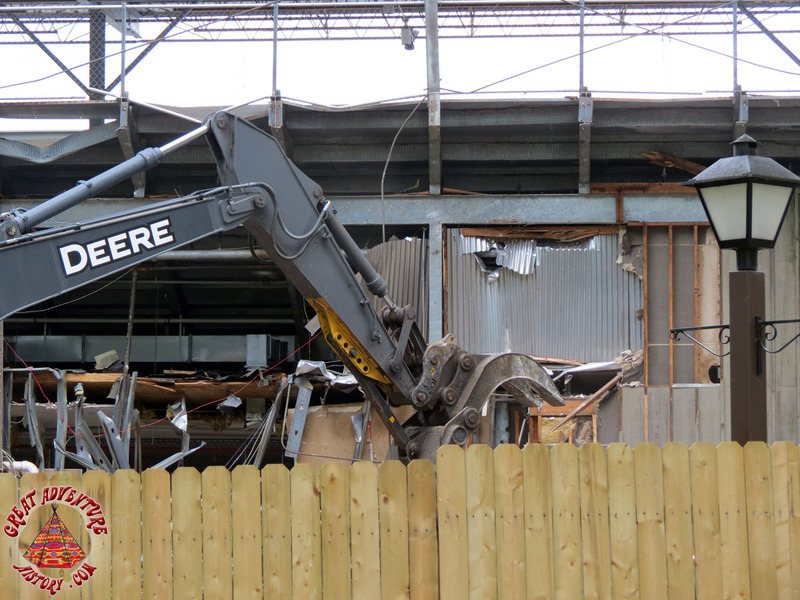 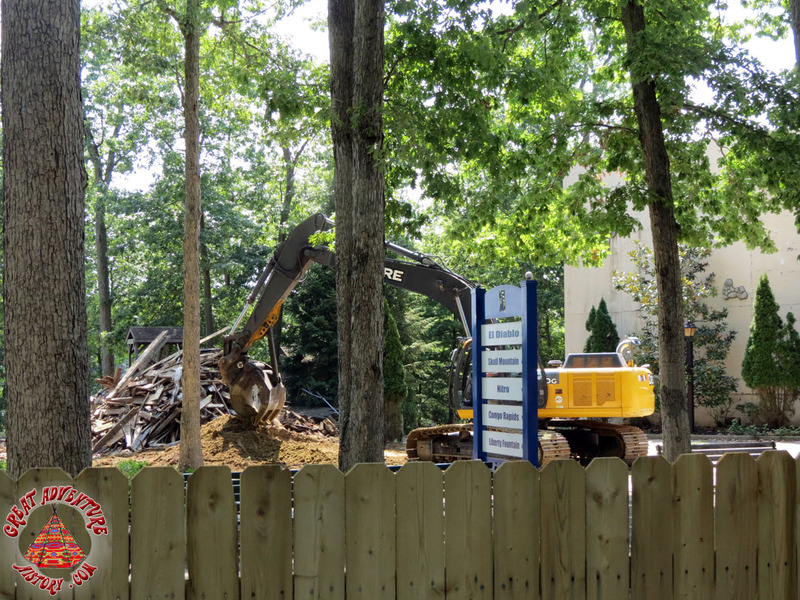 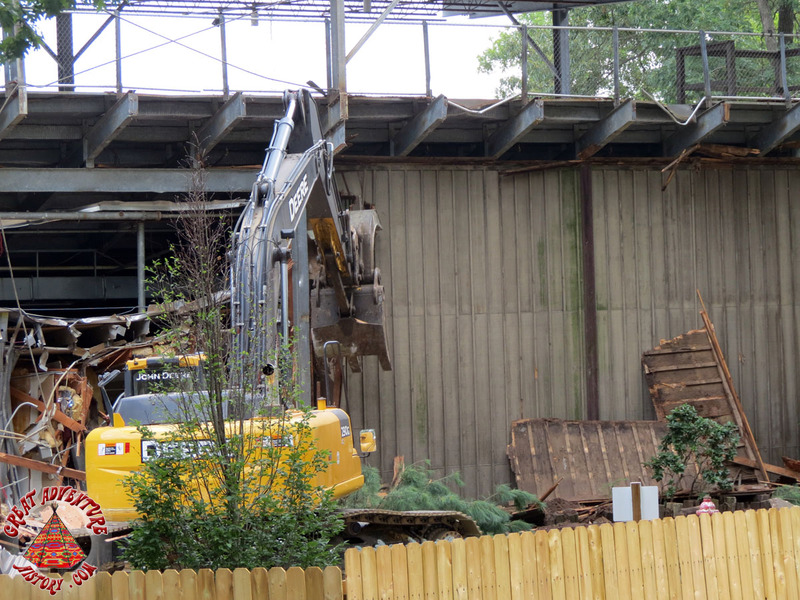 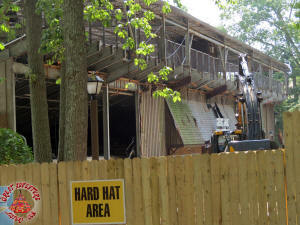 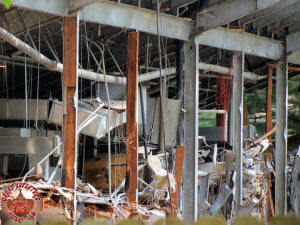 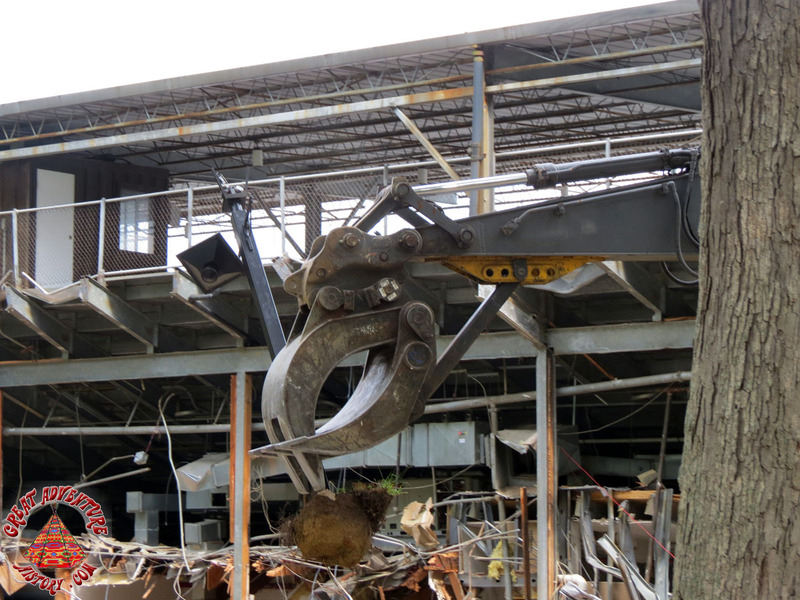 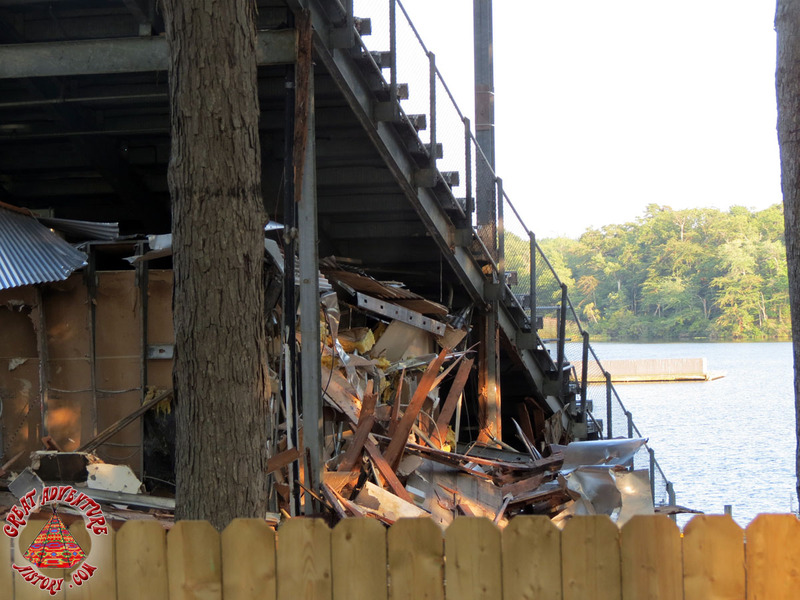 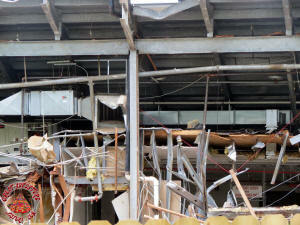 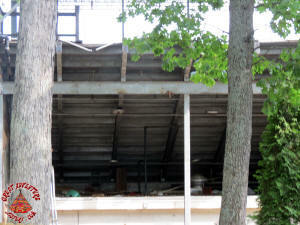 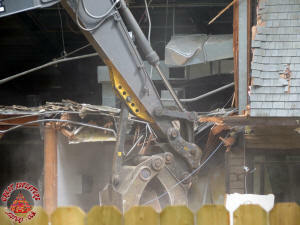 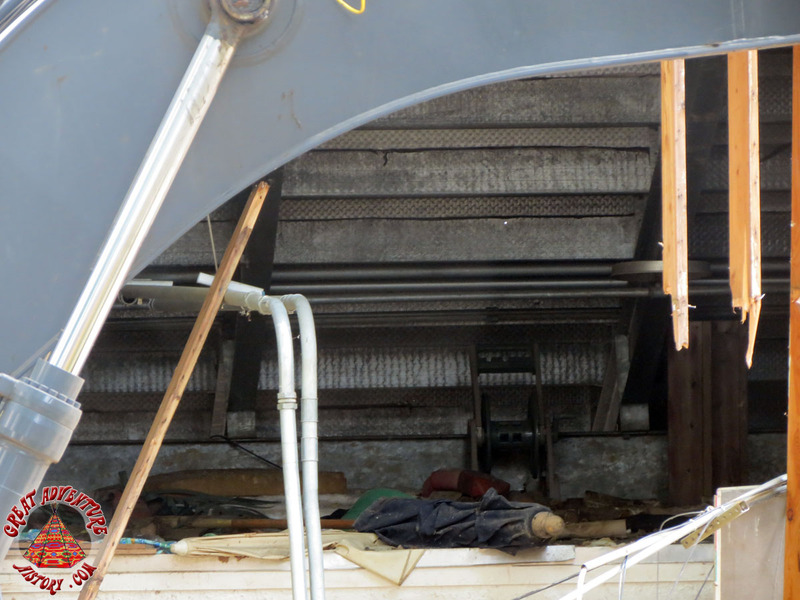 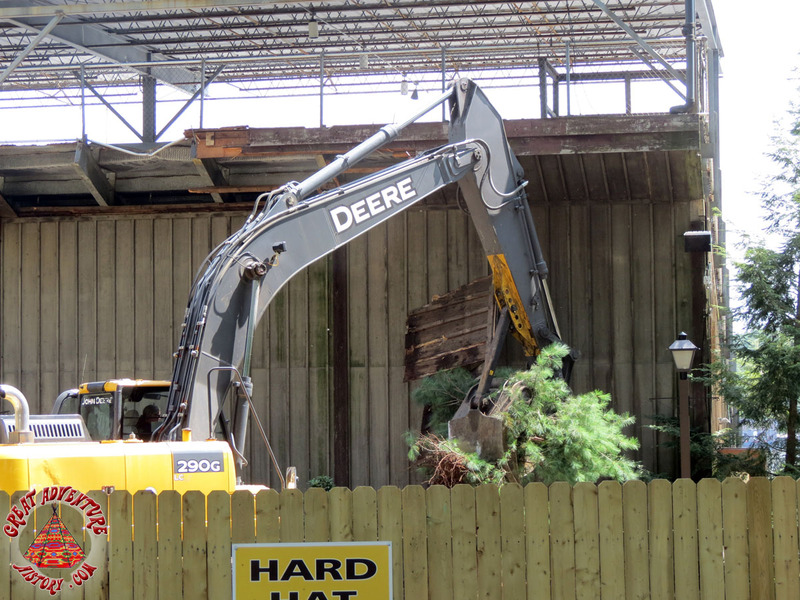 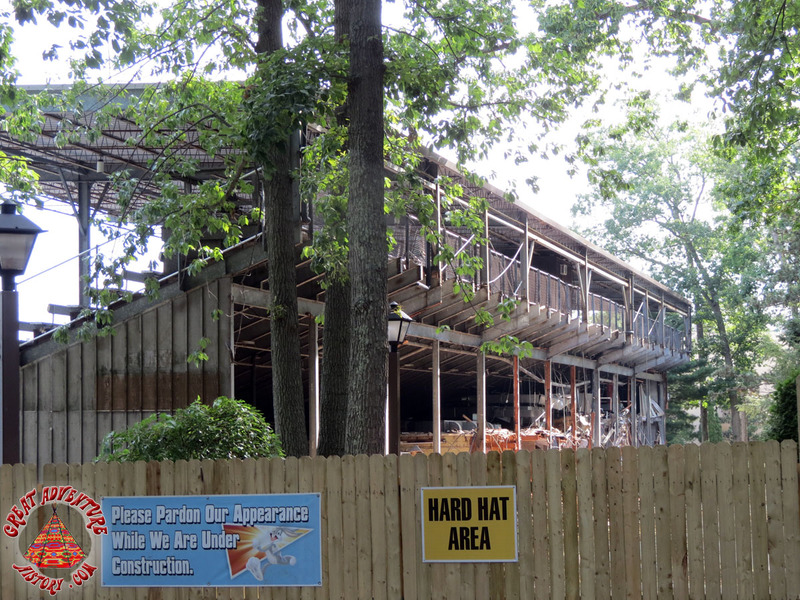 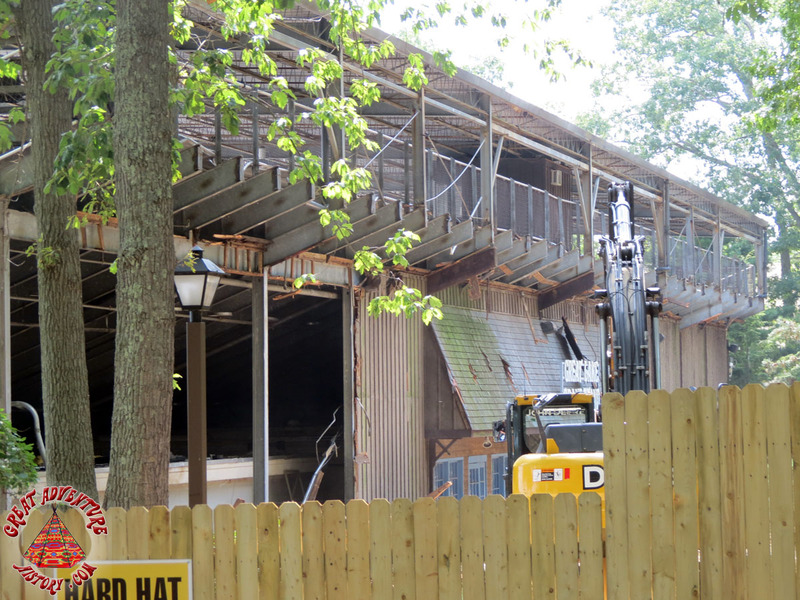 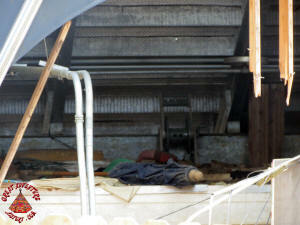 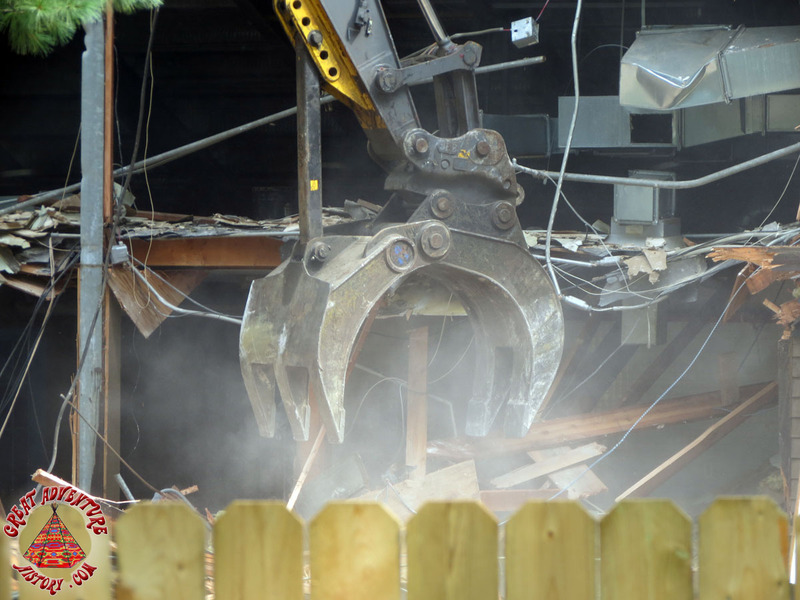 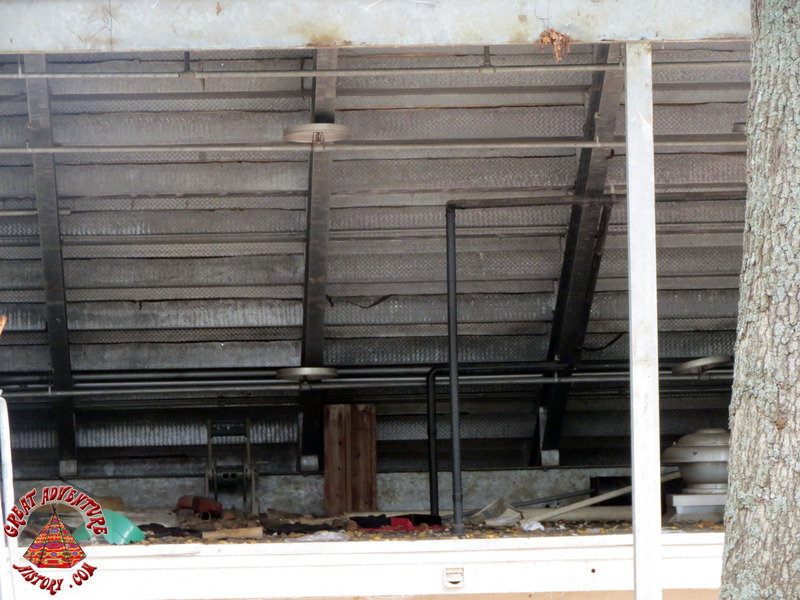 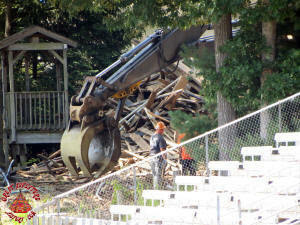 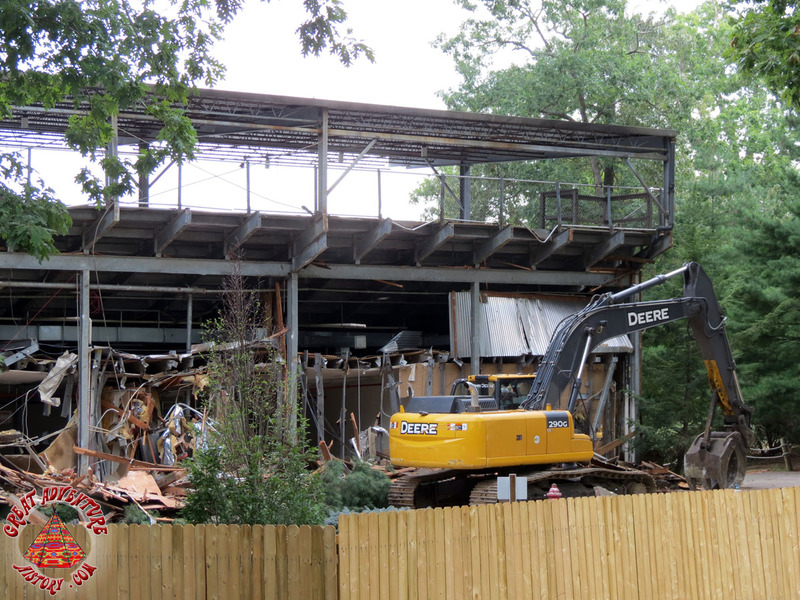 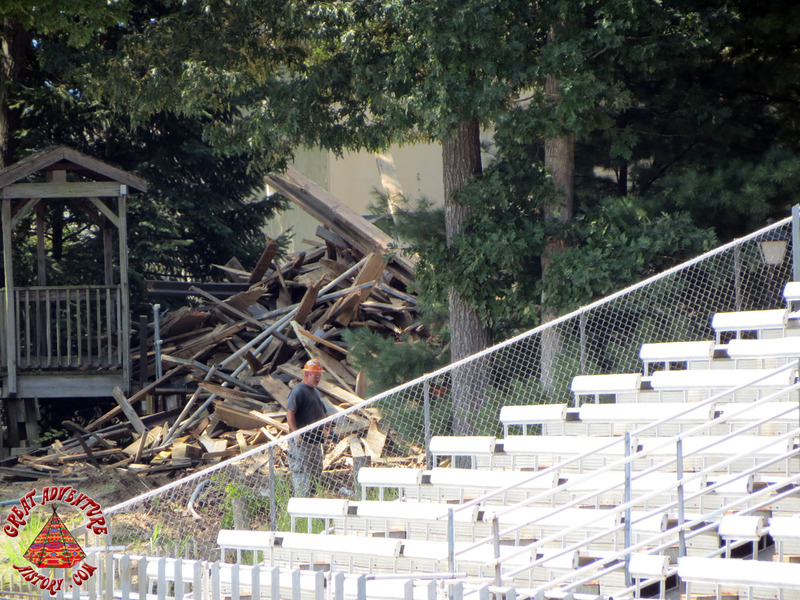 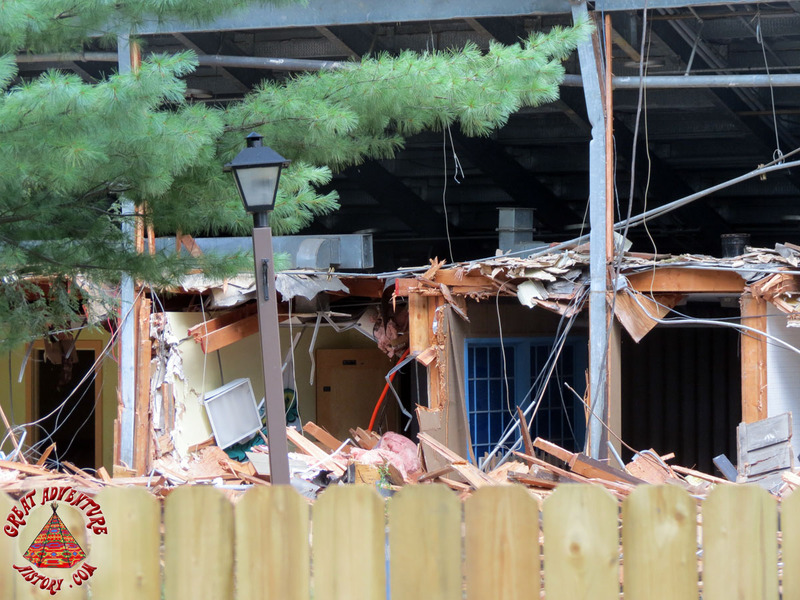 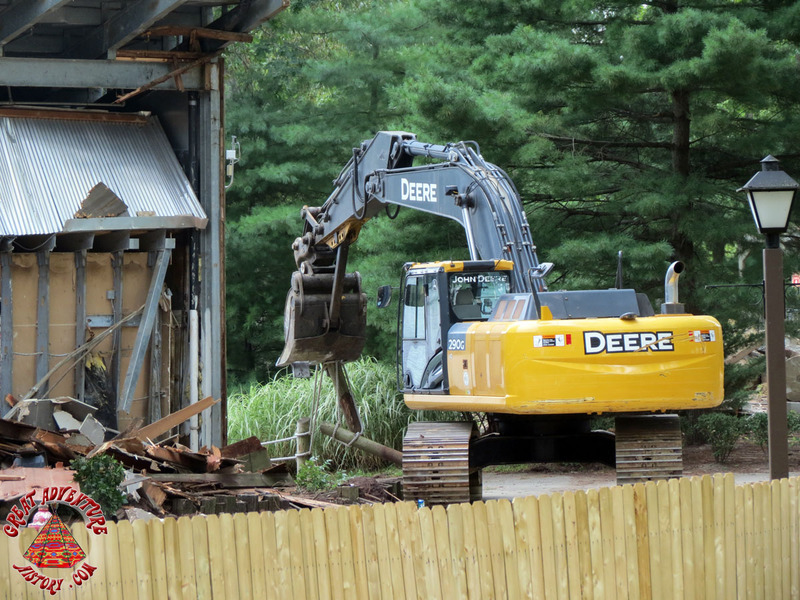 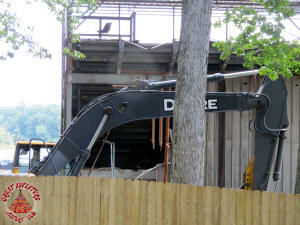 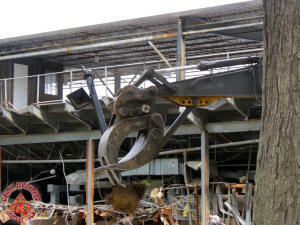 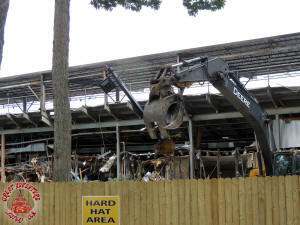 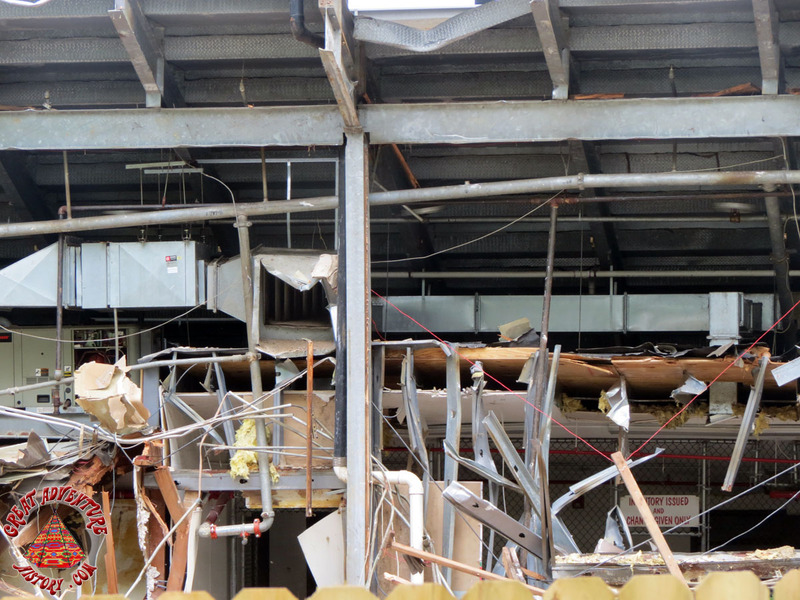 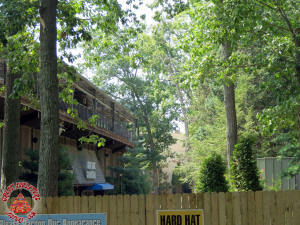 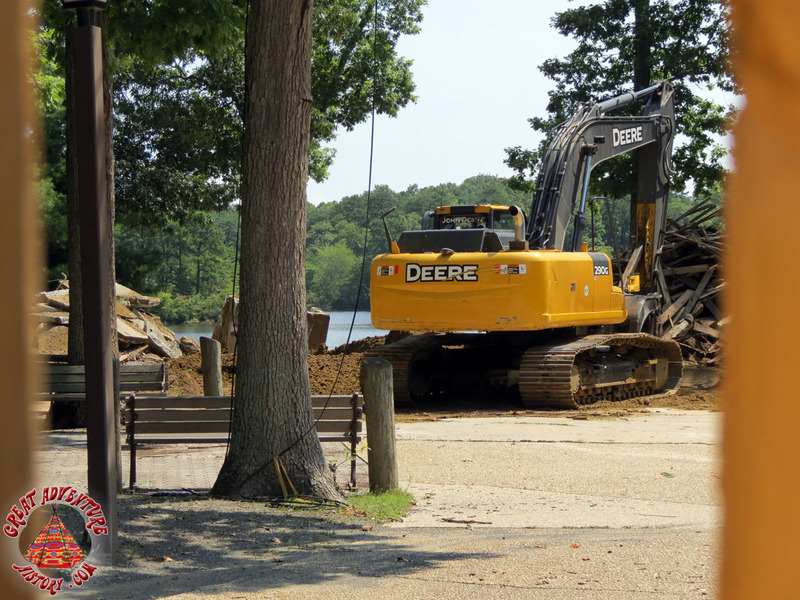 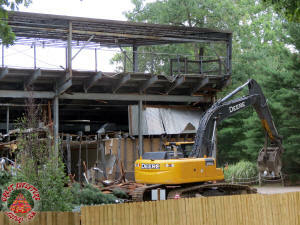 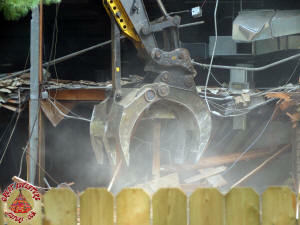 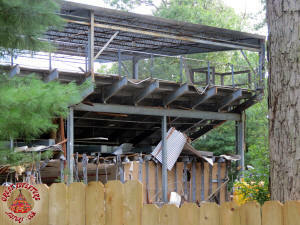 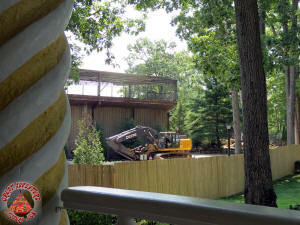 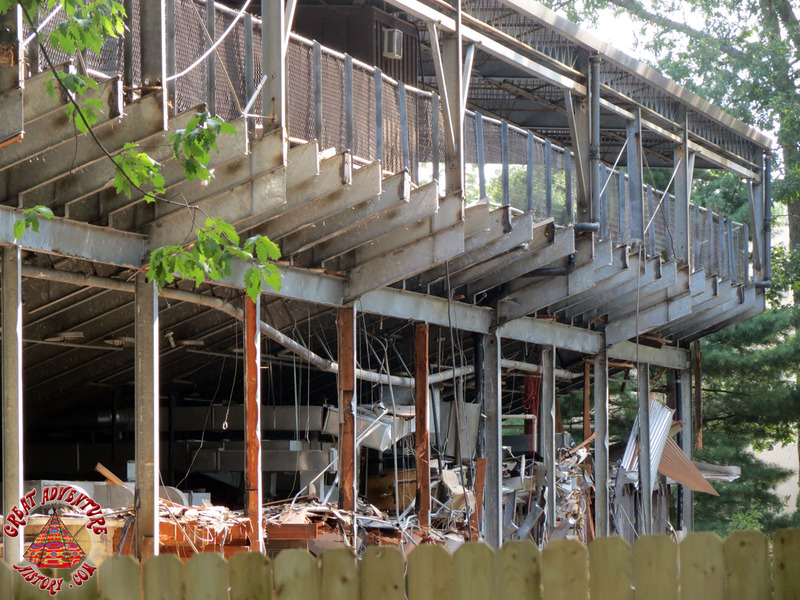 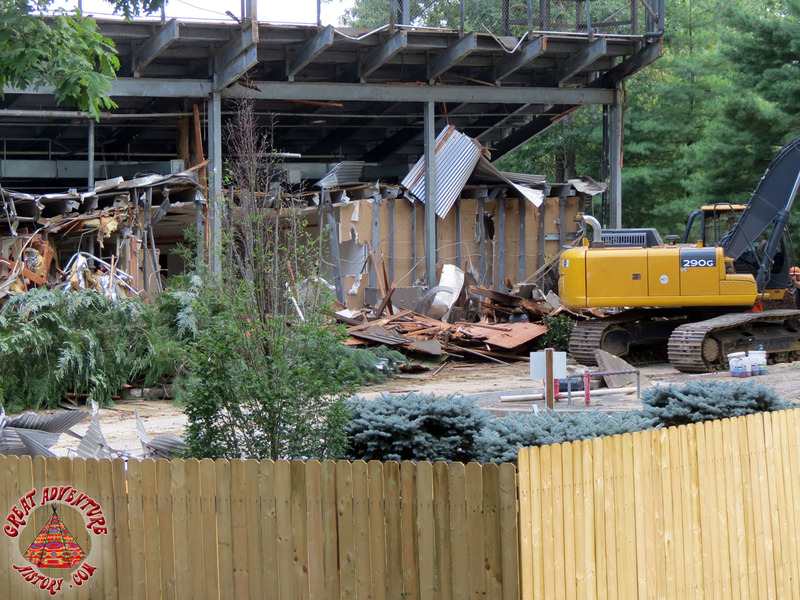 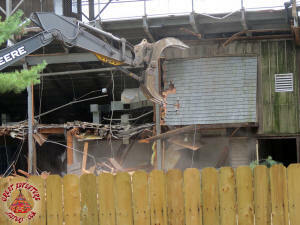 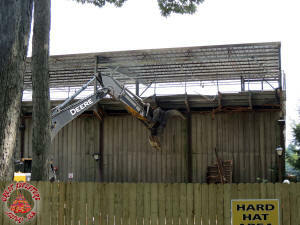 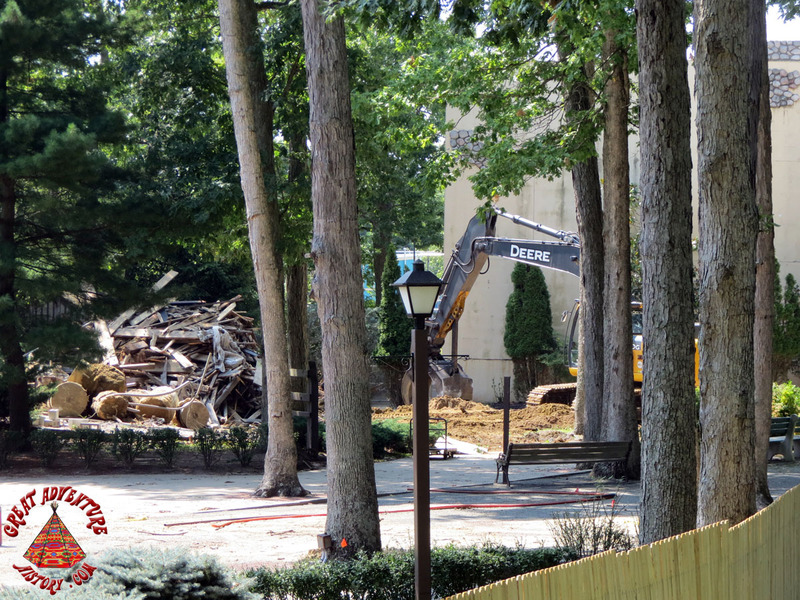 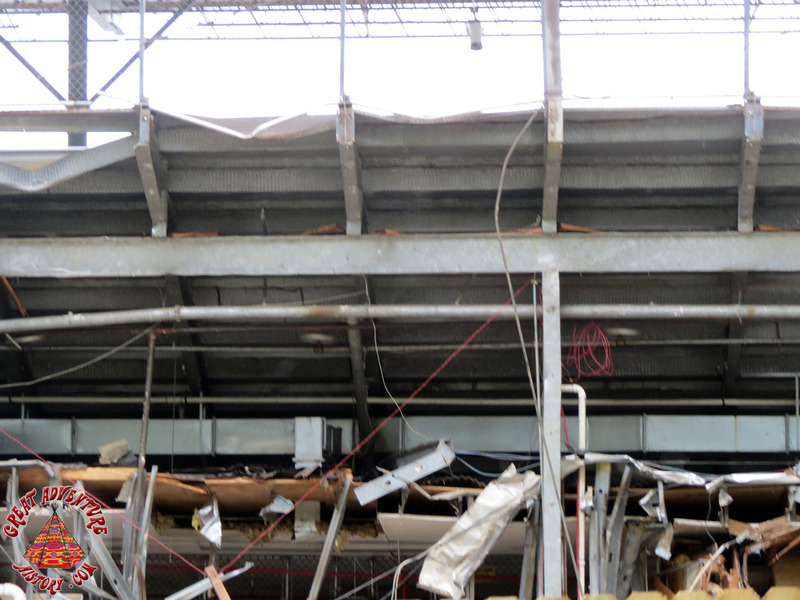 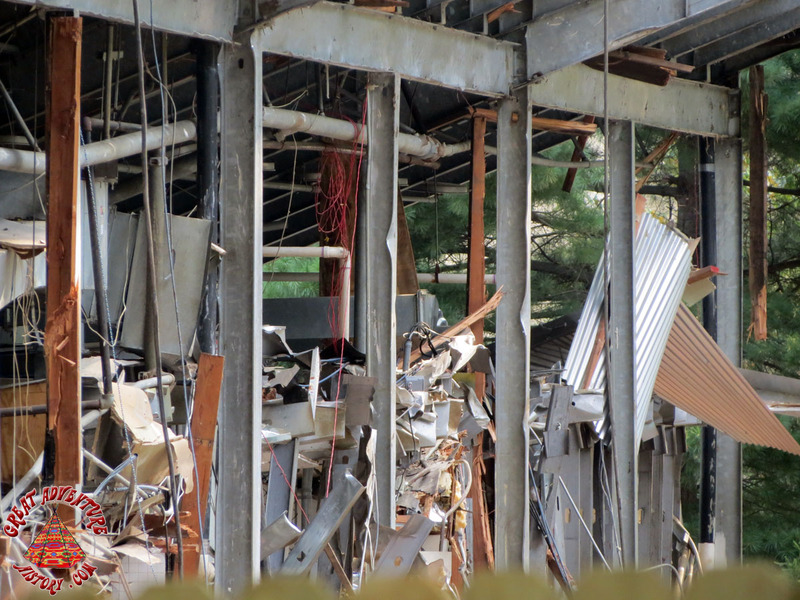 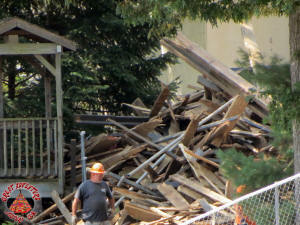 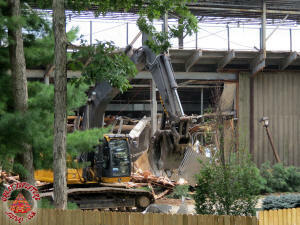 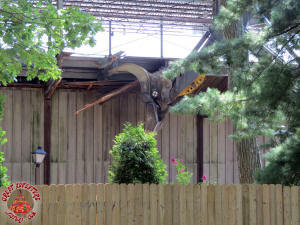 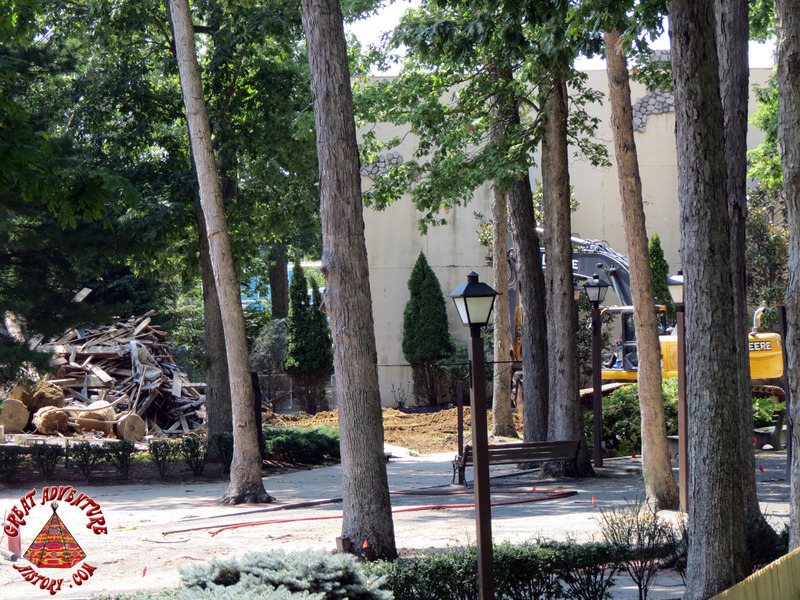 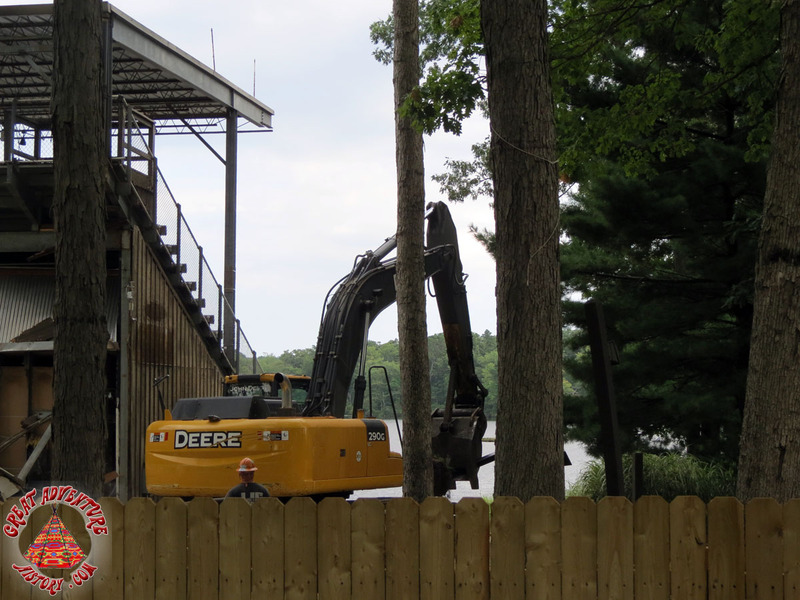 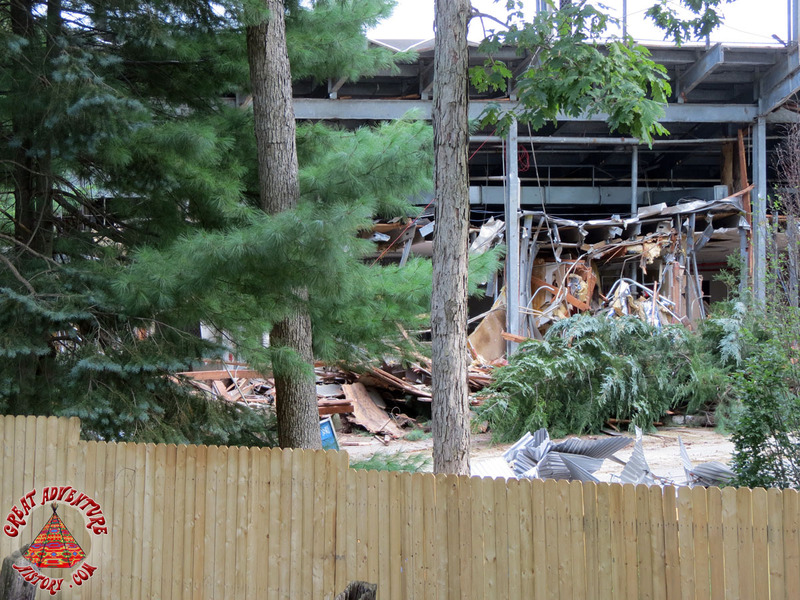 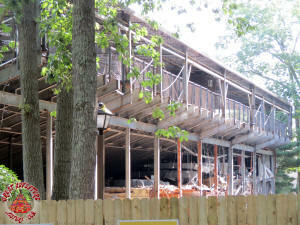 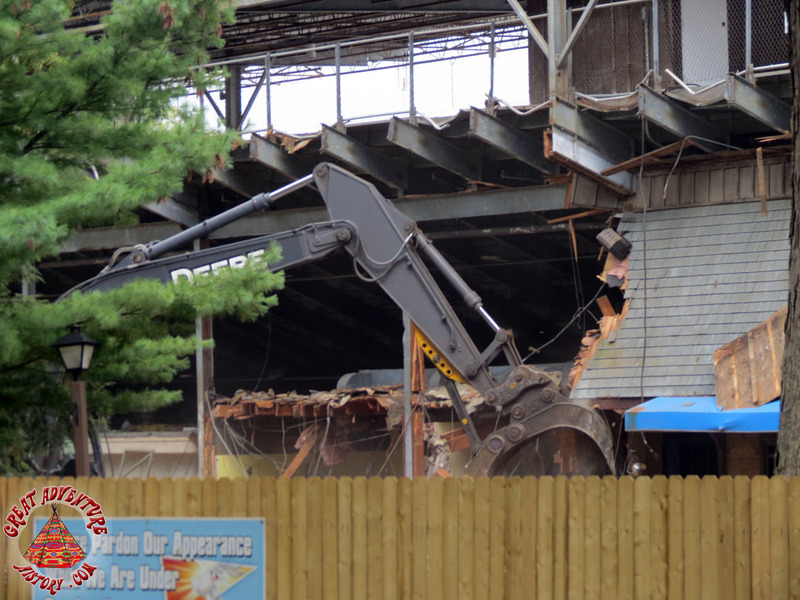 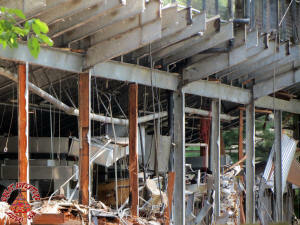 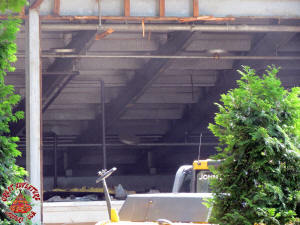 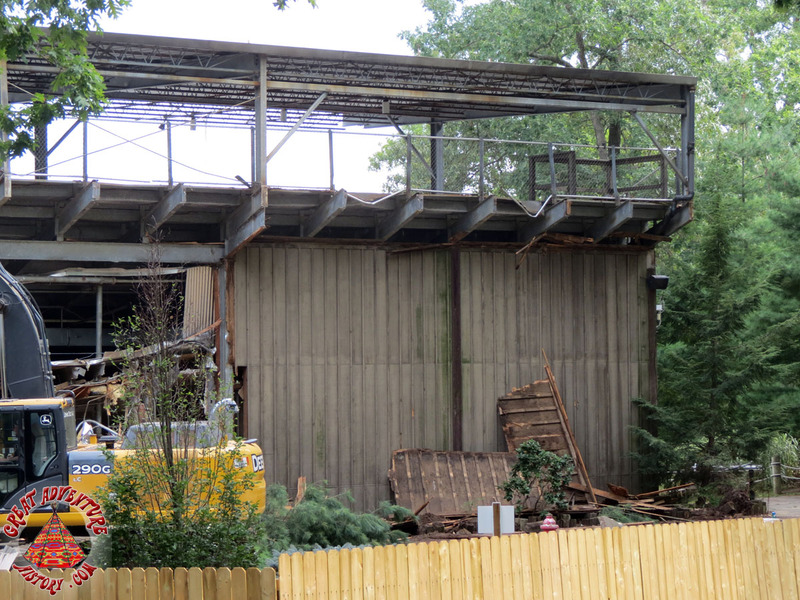 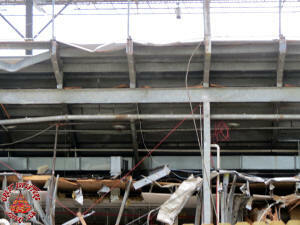 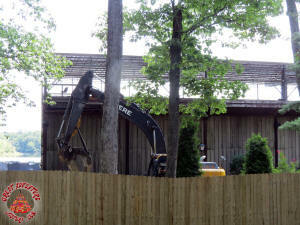 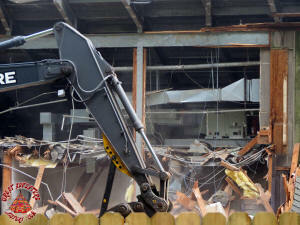 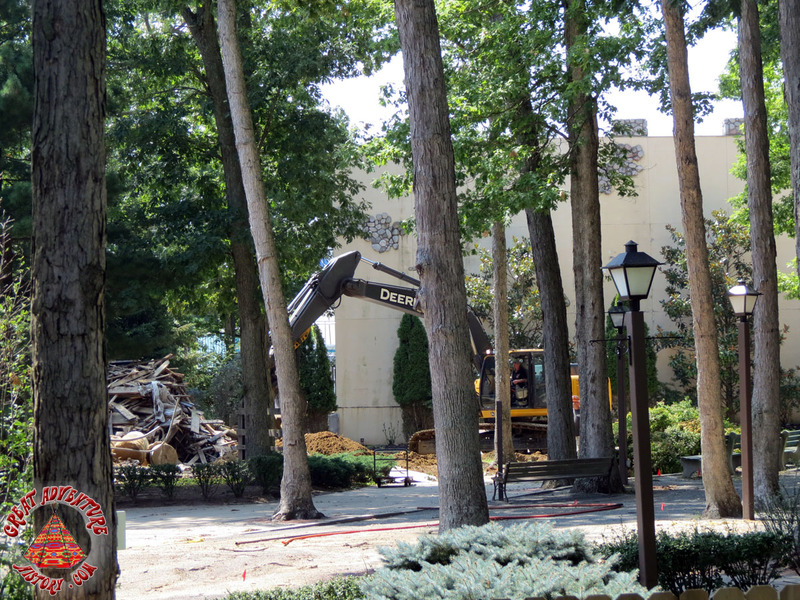 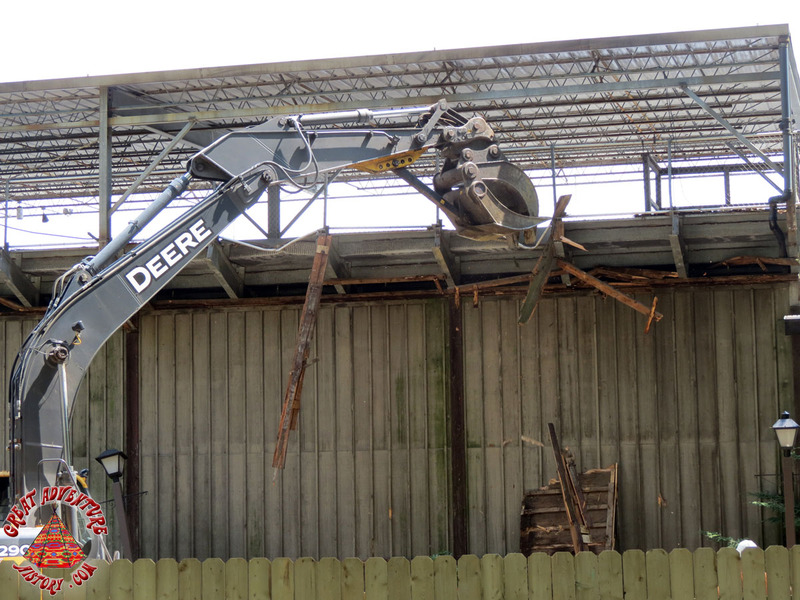 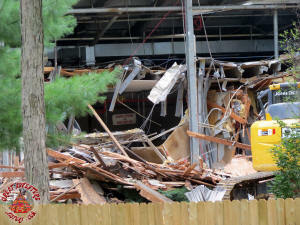 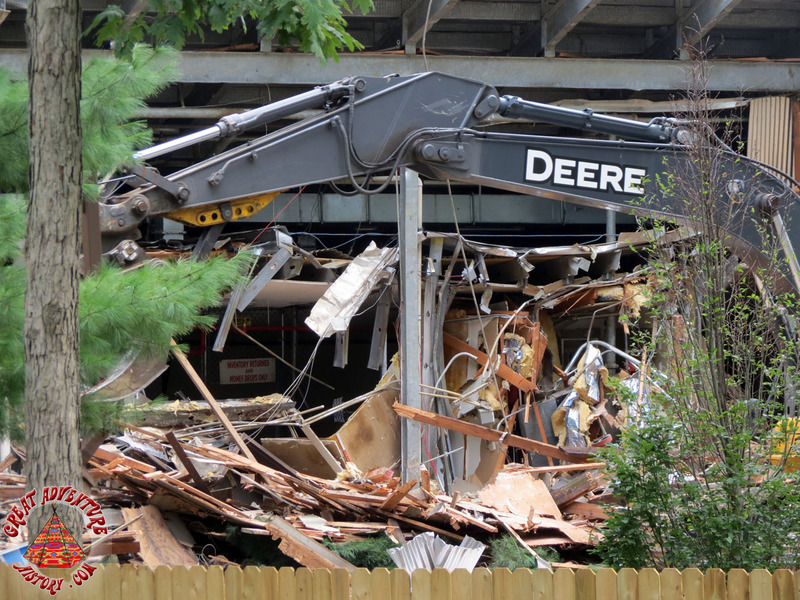 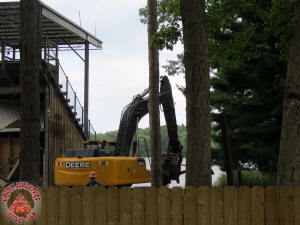 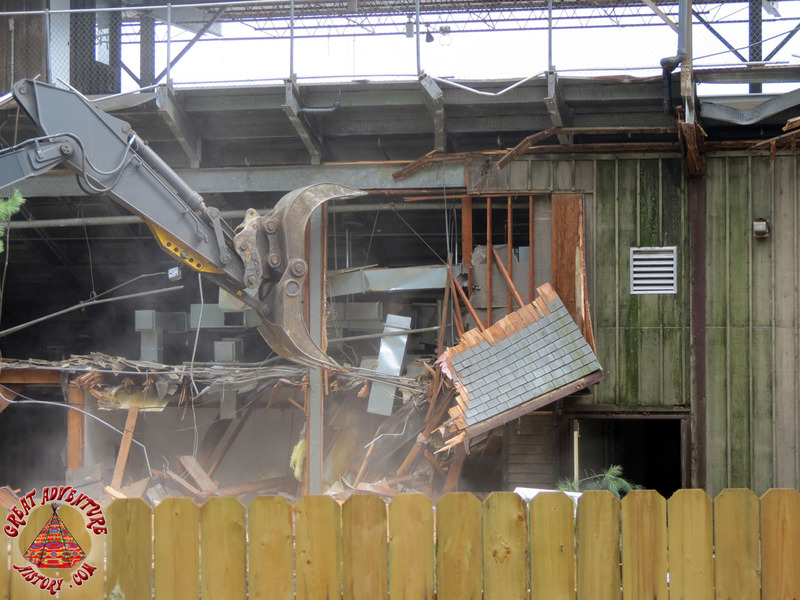 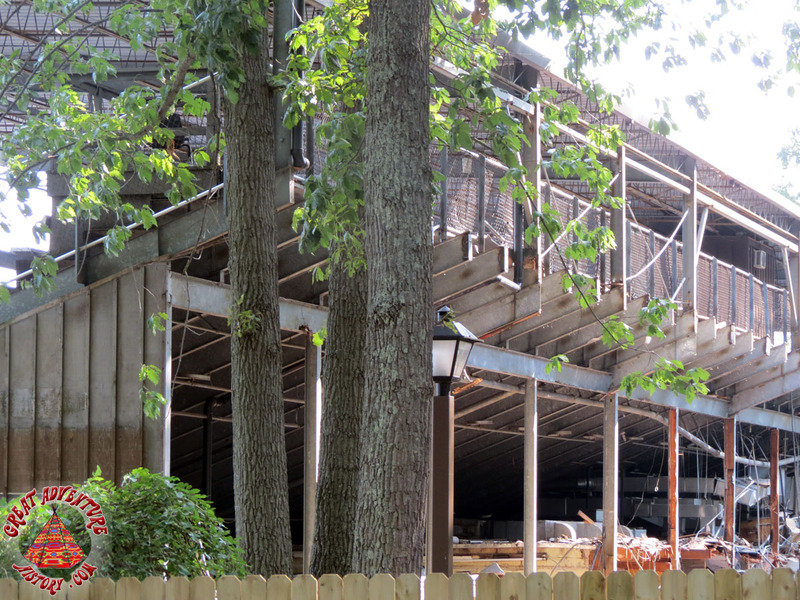 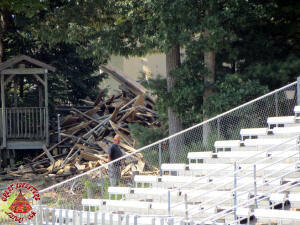 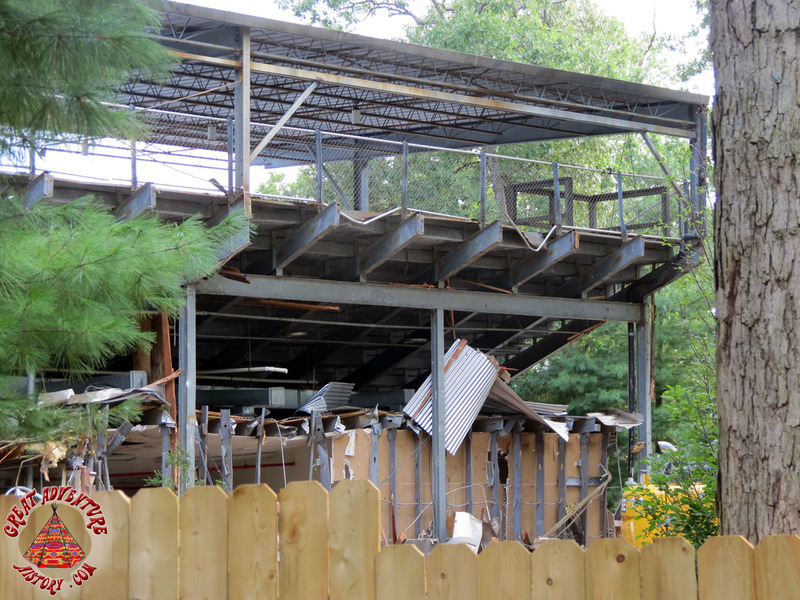 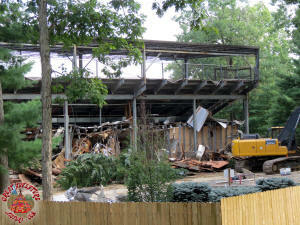 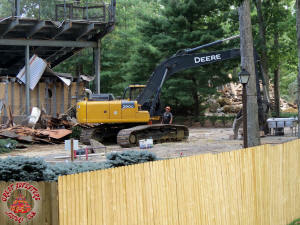 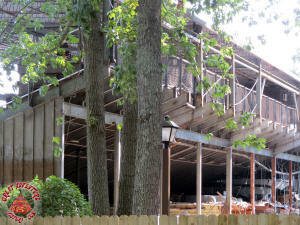 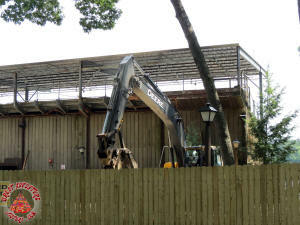 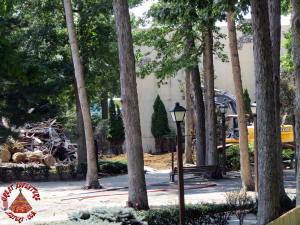 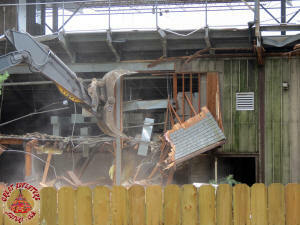 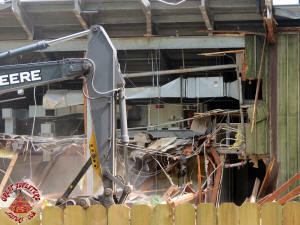 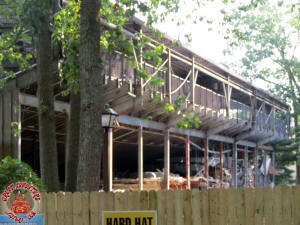 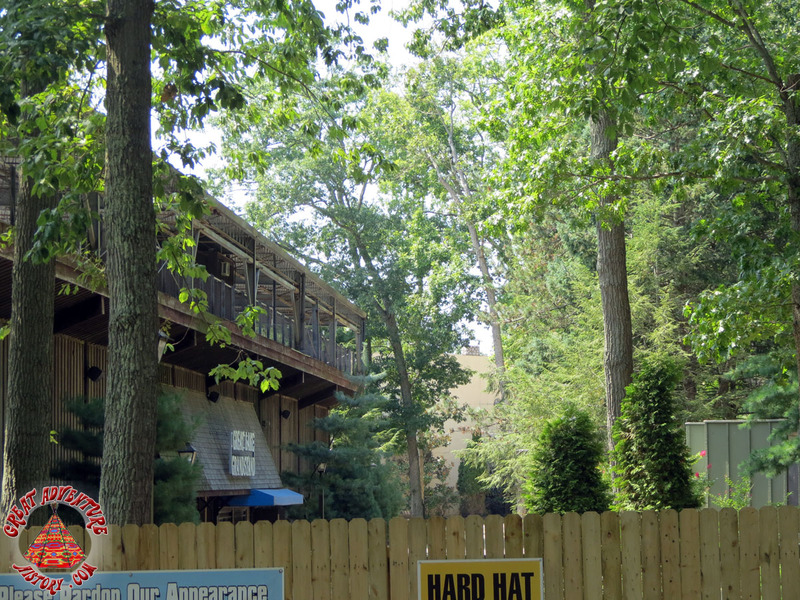 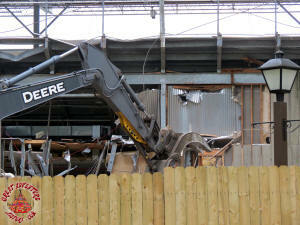 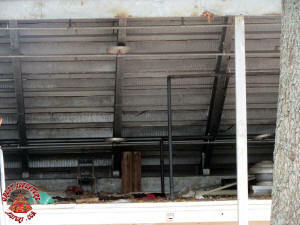 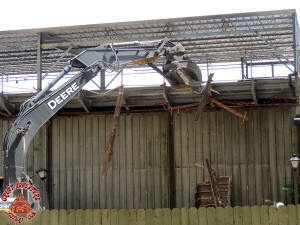 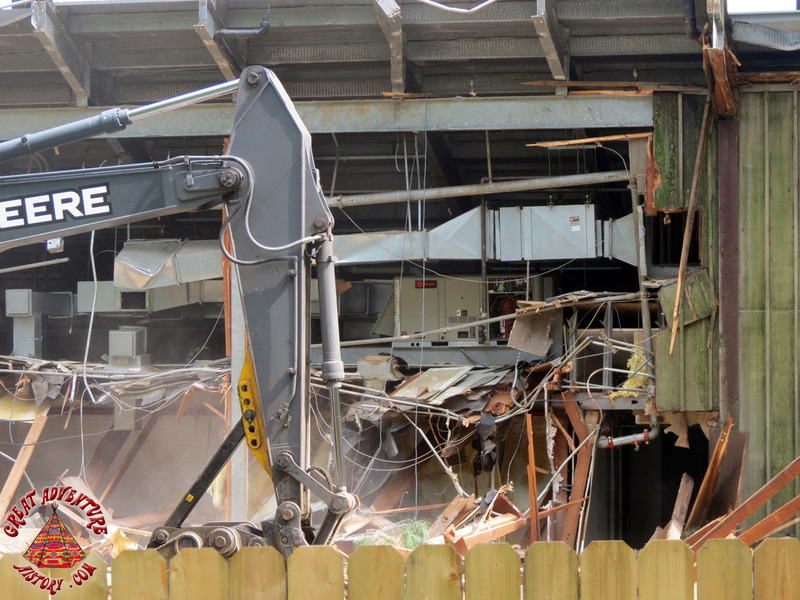 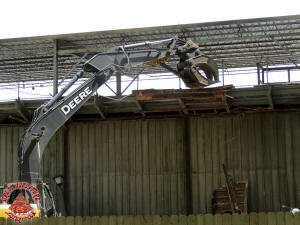 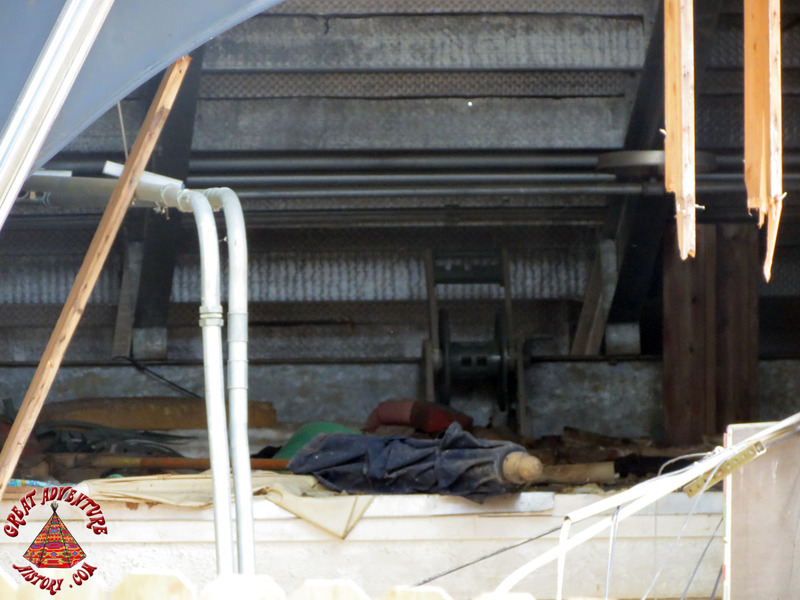 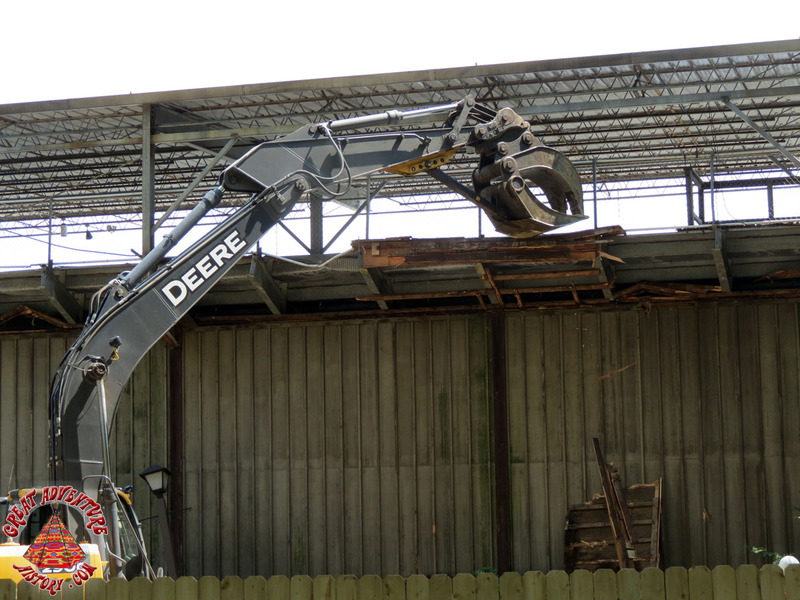 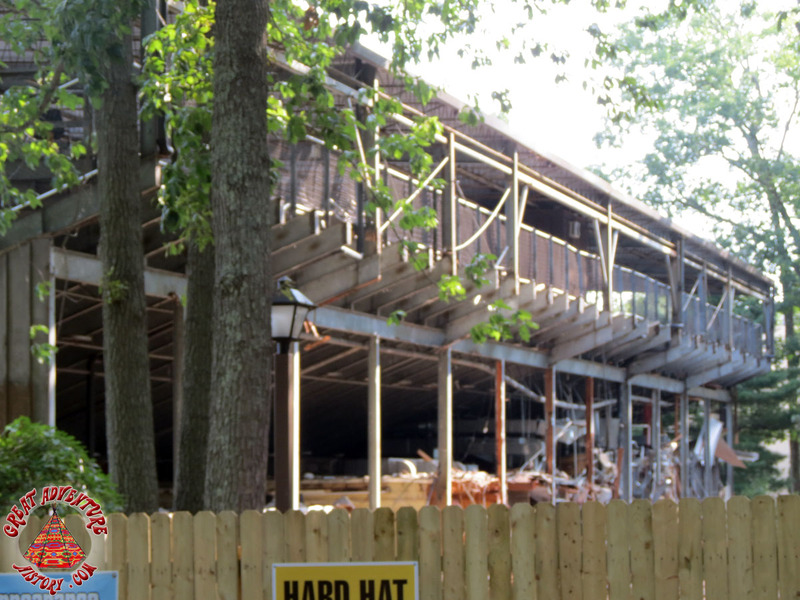 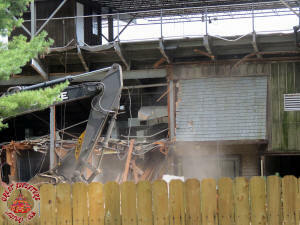 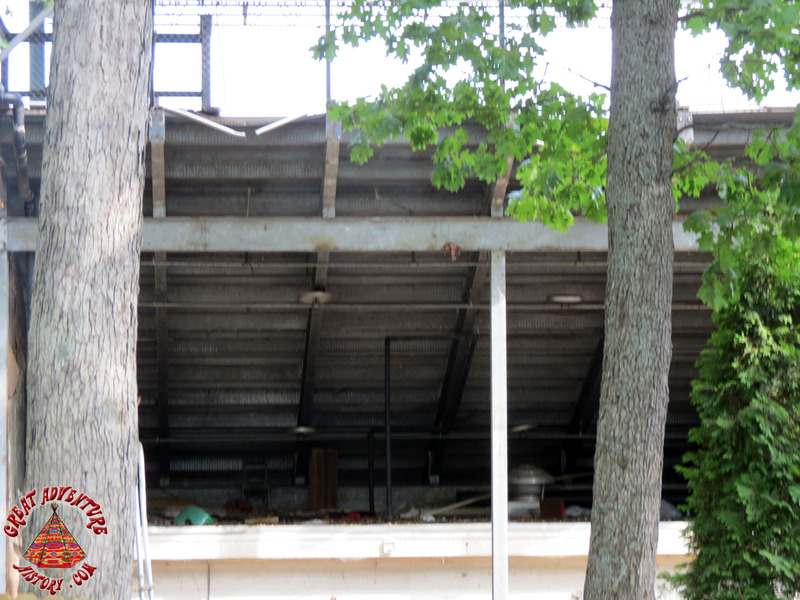 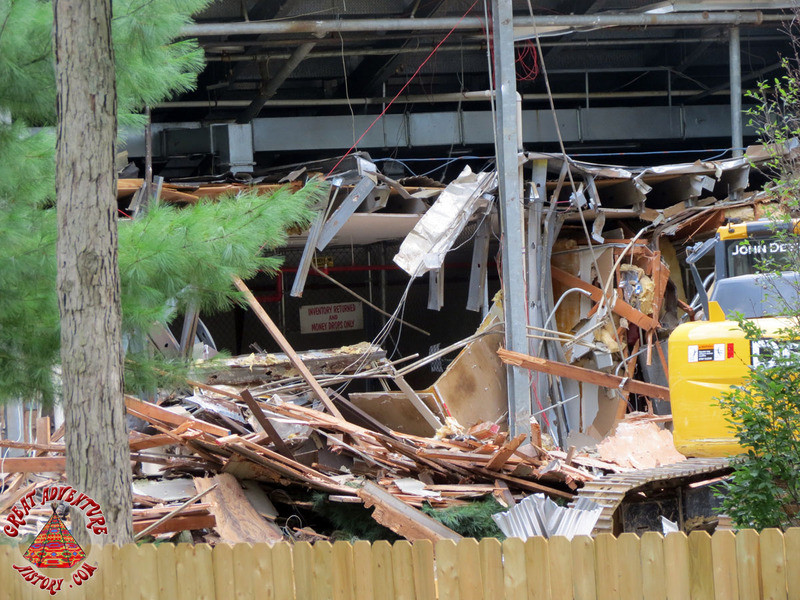 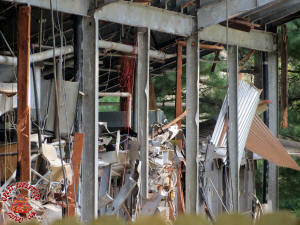 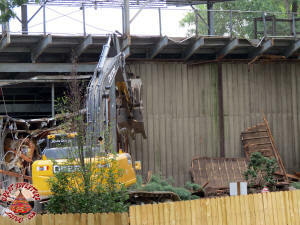 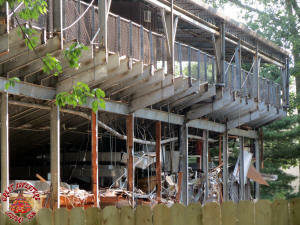 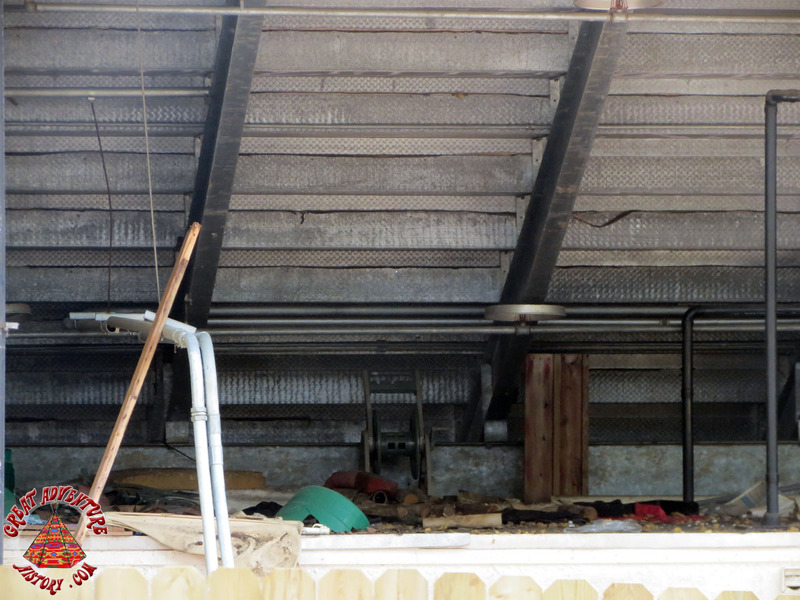 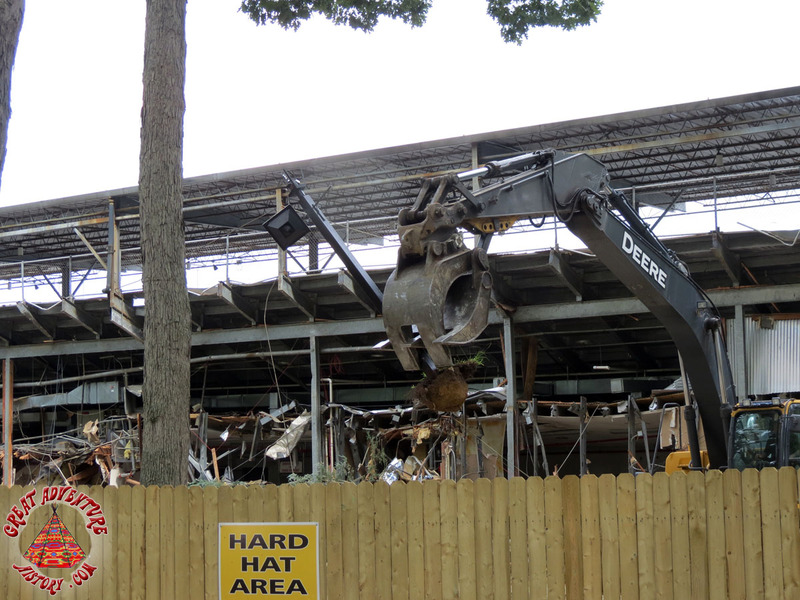 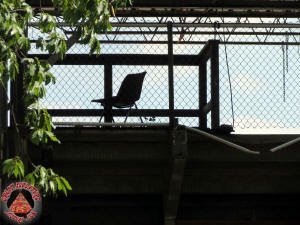 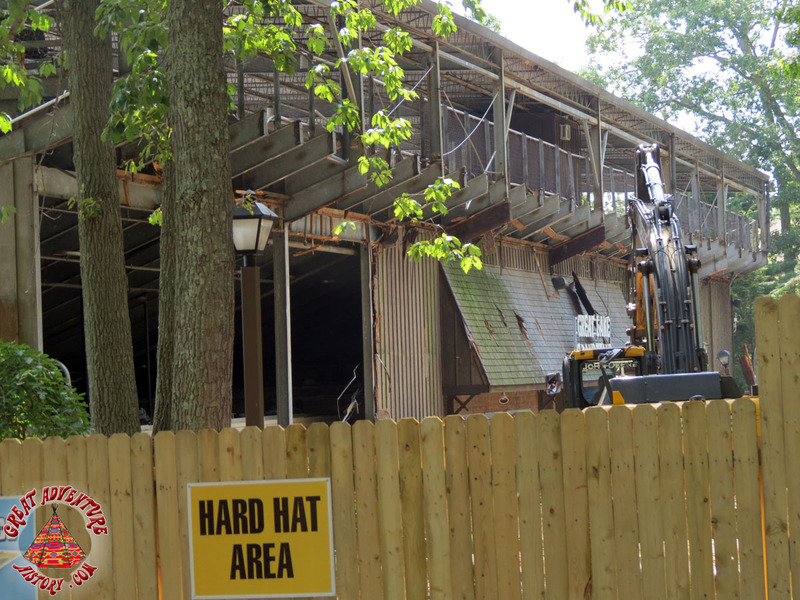 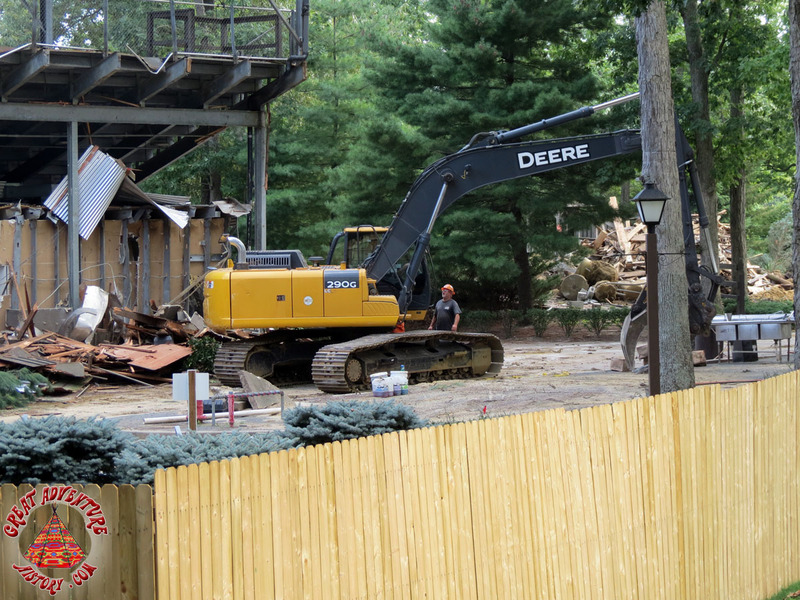 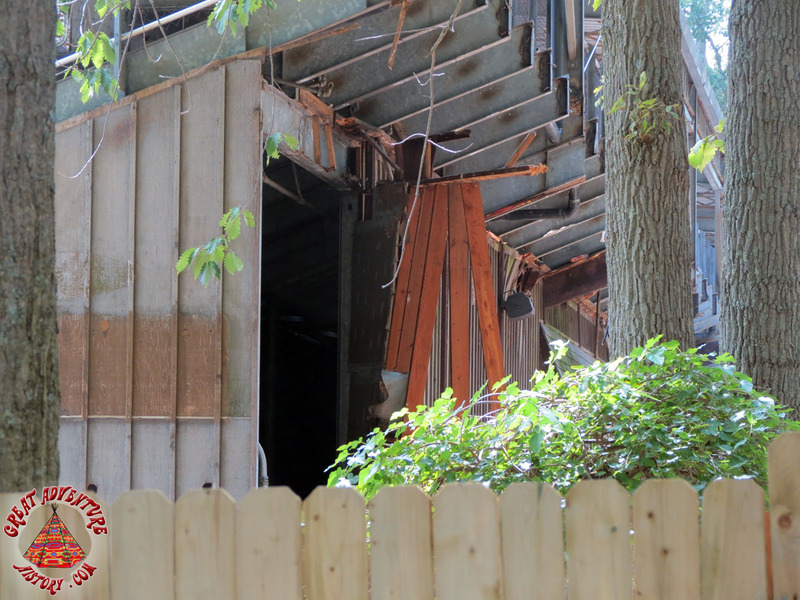 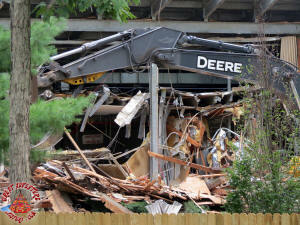 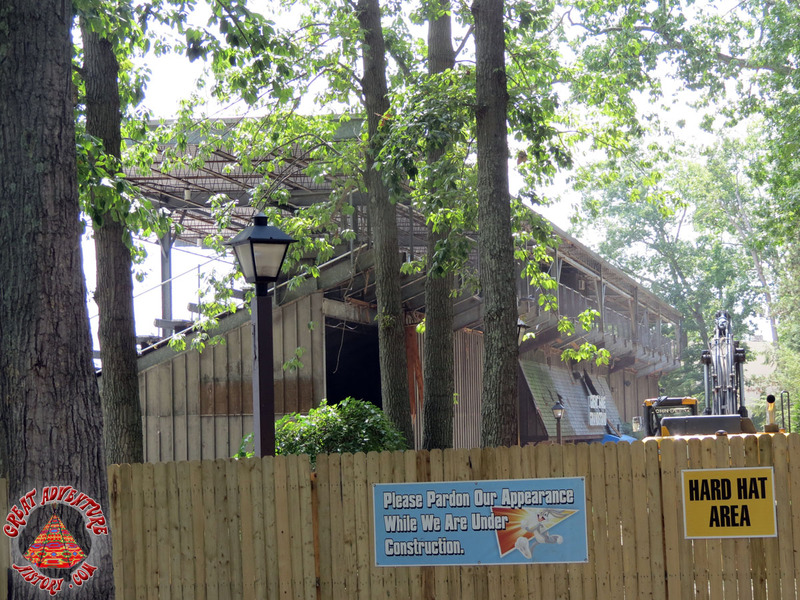 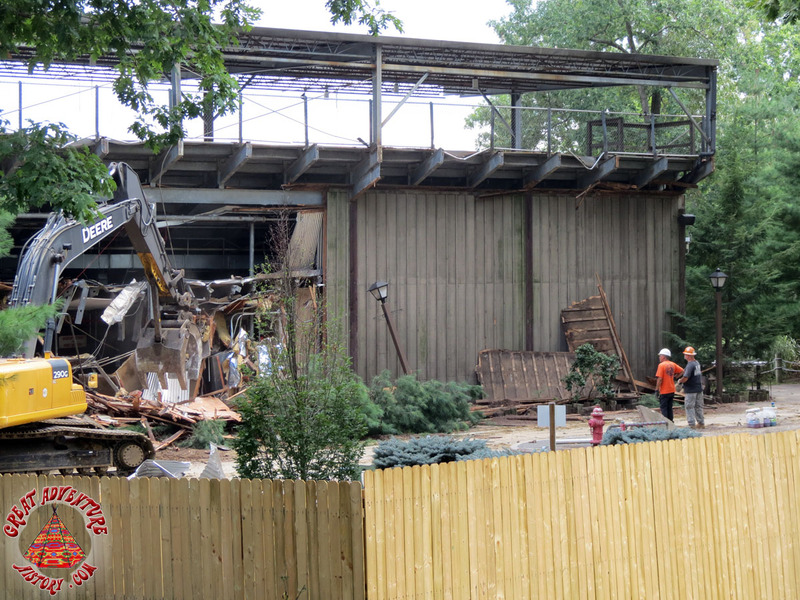 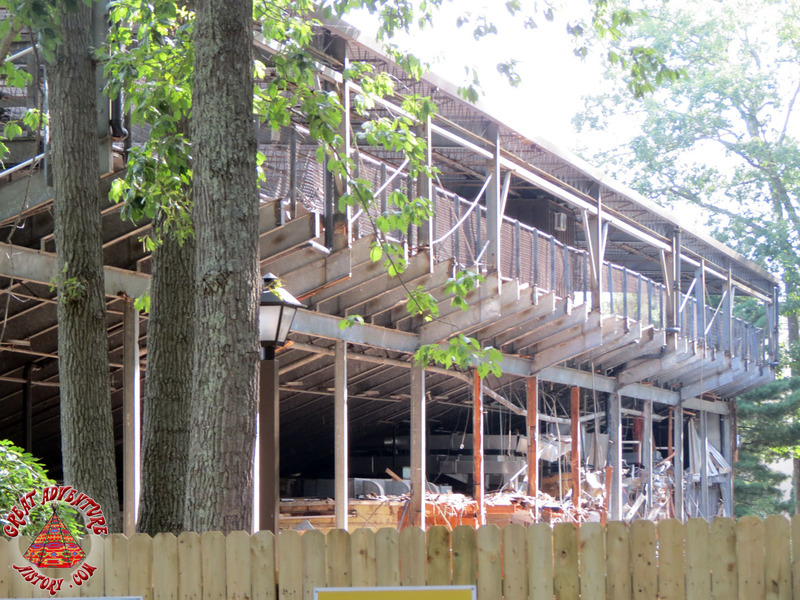 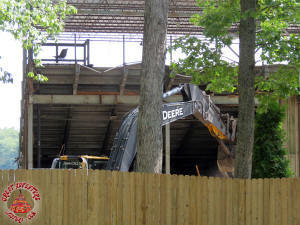 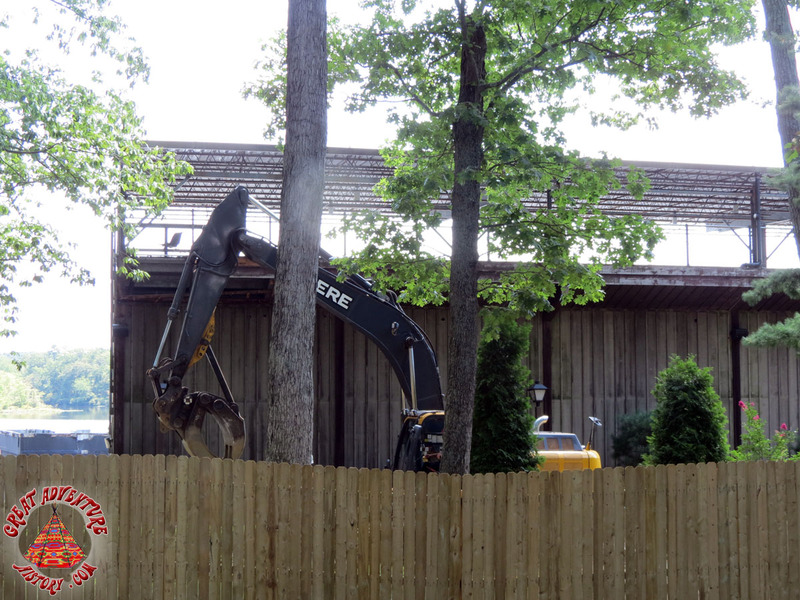 In the meantime, here is a series of photos capturing the start of the lakeside demolition work.